It’s not a secret. We are effective for two reasons. We prioritize the merchandising function of Tuff Flags. Our team of brand experts know the industry. There are members on our staff that have served cities, schools, and business in this market for over 25 years. We have learned the appropriate caliber of products government entities generally require. We have established far reaching relationships across the industry that allow us to drive our costs down without compromising quality. We Never Compromise Quality for extra margin! Our people watch our competitors closely. It is difficult for most competitors to match us given their outdated business models, but when they do, we find a way to do it better. Tuff Flags is the most efficiently run company in our industry. We don’t use outdated marketing methods such prospecting with catalogs or waiting for a customer to walk through the door. These outdated methods require your price to be higher to support these business models. While we sell flags and textiles, our company is extremely technologically advanced. With over 70 long-term employees focused on finding more pleasing, efficient ways of communicating with you, offering you a better and faster order experience, and squeezing every inefficiency they can find out of our processes, we’re able to offer much better prices than our competitors. Again, not a secret. In today’s market, consumers should demand these “Best Practices” from their suppliers. Add the product you would like into the shopping cart. Select the shipping method you would like. Choose to Pay After Approval or pay now if you like. You will receive a proof within 24 hours, typically within a few hours. No Charge. If you accept the proof, you will be sent a payment link. If you reject the proof, our artists will redo your artwork until your satisfied. We ship either through Fedex or USPS. Orders are shipped within 24 hours. For delivery of ground orders, see the map below. The times are estimates and are based on shipping from Tuff Flags in North Carolina. We also offer Special Shipping options from Fedex for Next Day and 2-day delivery which are guaranteed. Flagpoles and Large Orders are shipped by Fedex Freight. We accept all major credit cards: Visa, Mastercard, Discover, and American Express. We also accept payments through Paypal. We also accept PO’s from Government Agencies and Educational Institutions. If you are a business and would like to be invoiced, please include your PO number. If we are unable to invoice you for the first order we will contact you as soon as possible. Generally stock orders ship with 24 hours. 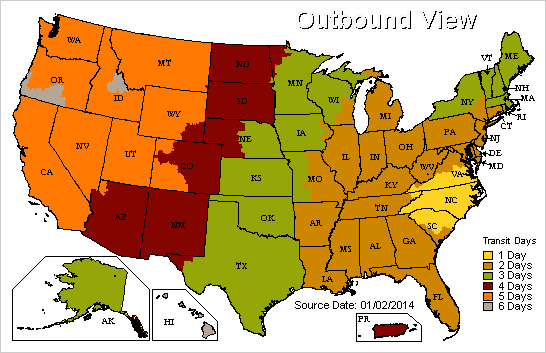 Shipping time is normally no more than 3 days anywhere in the Contiguous United States. We upgrade all order with estimated times over 3 days to Fedex 3 day which is why we don’t offer it as an option. It’s already included. Custom orders can take 1 – 2 weeks to produce. Once the custom product is produced, you should receive it within 3 days. Flagpole orders and Large orders frequently ship by truck. Depending on your location, this may take between 1-2 Weeks. For items where you see the 6 month guarantee logo, your products are covered for all construction or material defects from the date of purchase. Also, our Polyester and Nylon flags have an extended 12-month guarantee for colorfastness. Our objective is your satisfaction and a fair relationship between us. Even if a product is not covered under a guarantee, call us. We want you to be happy with your products as well as doing business with us. Without being taken advantage of, we will make sure you walk away happy that you chose us for your flags and mats. Yes. If there are certain products you would like to resell we would be happy to offer special wholesale pricing on those items to be reviewed on an annual basis. Please provide your resale certificate supporting that reselling flags fits your business model. If you do not have resale certificate, such as the case with Scouting programs or Fire Departments, please call us to discuss. We are happy to assist where we can. Use the table below to choose your flag size. If you are flying 2 flags on the same pole, for the lower flag it is normal to purchase the same size or one size lower.